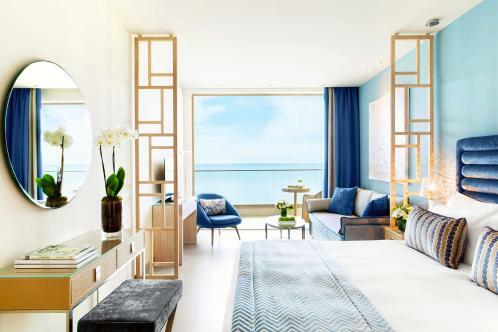 Anantara’s first property in Europe opened earlier this year with 280 rooms close to the elegant seaside resort of Vilamoura. Combine lazy afternoons by the pool with a round on the Arnold Palmer-designed golf course and time in the spa. There’s a strong culinary emphasis, with three restaurants and a Dining by Design concept, where guests plan a dinner with a chef and the wine guru Antonio Lopes, who was voted Portugal’s best sommelier in 2014. This 20-suite hotel, above the mountain village of Tsagarada, is the perfect late-season escape. Temperatures are still in the mid-twenties in September, but the unspoilt beaches and mountain roads are wonderfully quiet. Stroll into the village for coffee and cake in the main square, take in the views from the pool or indulge in a spa treatment before dinner at the Melia restaurant. Save £1,800 on a week in September at this sun-drenched resort, which is above the picture-perfect Gulf of Elounda with the island of Spinalonga shimmering in the distance. Every high-spec, gleaming bedroom has an outdoor whirlpool or private pool. Plus, there are four restaurants to choose from and fantastic fish tavernas in the nearby village of Elounda. September falls in between the summer crowds and those in search of winter sun, but temperatures hold steady and can reach 25C in October. Prices drop by about a third, making even the super-luxe Ritz-Carlton an affordable drop of luxury. The resort comes with a two Michelin-starred restaurant, a secluded beach, elegant colonial-style bedrooms and a dramatic clifftop location looking out towards La Gomera. It’s no surprise to find that this beautiful 300-room resort, which has just had £24 million spent on it, is already full for September. But head there in early October and you’ll still get temperatures in the 20s, so you can linger around any of the six pools or head to the beach just across the road. 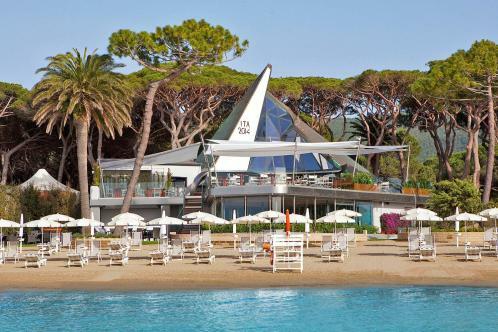 It’s all-inclusive, but not as you know it — the speciality restaurants are supervised by Michelin-starred chefs and there is a list of complimentary activities, from water sports to Zumba. Kefalonia basks in the mid-twenties in September, which is an ideal time for exploring some of the walking routes that criss-cross the island. The Ionian Emerald is a delightful 38-room hotel in the seaside hamlet of Karavomilos that feels traditionally Greek, with an emphasis on local dishes in the restaurant. 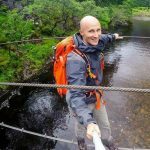 The buzzing resort of Sami is a gentle 20-minute stroll away, along the pretty coastal path. New for 2017 — and easy to get to with a new flight route into Comiso — the Acacia Marina, with 98 crisp, cream-and-blue bedrooms and the beach only 100m away, is the perfect spot to soak up Sicily’s reliable September sunshine. Temperatures can hit the high twenties, but cooler days are perfect for exploring the pretty streets of Marina di Ragusa or walking in the hills. Back at the hotel, tennis and cycling are on offer. September is still lively in Ibiza, where most of the clubs don’t have their closing parties until October, but it’s considerably less manic than high summer. 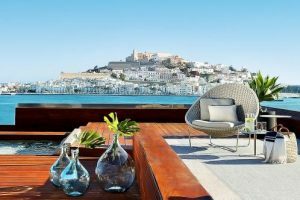 The upscale Ibiza Gran Hotel has a fabulous location within walking distance of the picturesque old town, as well as the superclub Pacha and the marina. The hotel also has a sleek spa, three restaurants and a casino. The picturesque seaside resort of Port de Soller has undergone something of a revamp in recent years and the deluxe Jumeirah Port Soller, just above the tangle of streets that lead from the waterfront, is the swankiest address in town. Majorca is glorious at the end of the summer: the crowds have gone, temperatures are still in the mid-twenties and the sea is clear and warm. Pop into the inland town of Soller for some of the best tapas on the island at C’an Pinxto (canpinxto.com). Crete’s southerly location means reliable late-summer sun, and the GK Beach, whose lush, tropical gardens run down to the sea, is perfect for a chilled-out week. The 23 suites have whitewashed walls and fabric in crisp blues and silvers. There’s a small spa and large pool. The owners, Yiannis and Katerina, make the most of Crete’s foodie culture in the restaurant and the hearty breakfasts will fuel an exploration of Chania (25 minutes’ drive away) or walks in the surrounding mountains. Family-favourite destinations such as Tuscany offer the best value once the schools go back; four nights at the Baglioni Resort is more than £800pp cheaper than in the holidays. Yet in September the mercury still hovers in the mid-twenties. The bedrooms ooze country-house opulence, with striped wallpaper and luxury fabrics, and La Spiaggia restaurant has wonderful views across the Bay of Follonica. Perfect for those who like an active holiday, Neilson’s Baia dei Mori offers a September week of sailing, windsurfing, mountain-biking and climbing for less than half the price of August. The resort is to the south of the Costa Smeralda, with winding paths leading from the resort through dunes to the unspoilt beach. Rooms are set within shady gardens, each with its own terrace. Still sun-scorched in September, Sicily’s prices drop off dramatically when Italians return to the mainland. 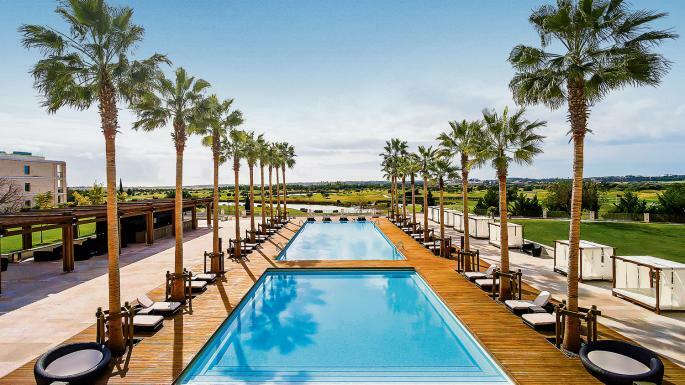 The Verdura Resort is a stylish fly-and-flop courtesy of Olga Polizzi. 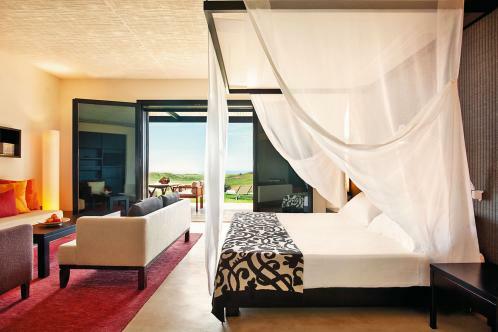 The estate has 2km of private coastline, three golf courses, and chic suites, rooms and villas. Four restaurants, five bars and a swish spa make it an easy car-free escape, although the location, in the southwest of the island, makes it an ideal base for exploring Sicily’s ancient sites. Right on Cala Galdana’s picture-perfect arc of sand, this is an ideal choice if you’re looking for a tranquil break; Minorca is quieter than its Balearic siblings, particularly once the schools have gone back. Rooms are a touch compact, but slickly designed, and all have private balconies with sea views (some from the side). Enjoy long lunches by the sea at Cape Nao restaurant and glam up for cocktails and dinner at the Level, which has wonderful views. Italy’s sundrenched heel basks in warm sunshine throughout September, and Borgo Egnazia, a cleverly designed resort built in the style of a traditional Puglian village, offers serious luxury. Rooms in La Corte, the main building, are grander, while those in the Borgo are more rustic. Dress up for dinner in the vaulted, candlelit Due Camini restaurant. The rest of the time this is a kimono-and-flip-flops kind of place; swish between the two beach clubs, the pools and the seaside restaurant. An average of 25C in September makes the temperature ideal for lazing on the lovely Valtos Beach, which stretches for a kilometre beyond the pretty gardens of the Parga Beach Resort. The stone-built bungalows dotted between the trees have unexpectedly elegant rooms, and the three pools mean there is always a quiet sunlounger available. The bright lights and buzz of Parga Town are 2km away. Pop across to Provence to grab a few days of early-autumn sunshine. The 12th-century château has 39 elegant suites filled with classic Louis XV-style furniture, while the Rossini bar is hung with beautiful 18th-century tapestries. The Sisley spa offers restorative treatments, although the views from the pool may well be medicine enough. Soft light, warm sunshine and a calmer vibe are all part of the September scene on Majorca, and the Cala San Vicenc, a stone’s throw from the three beaches that make up the resort of the same name, oozes Balearic charm. The 38 rooms, with cool tiled floors and locally made wooden furniture, feel light and spacious, while the Lavanda restaurant has a more contemporary, hip-hotel feel. 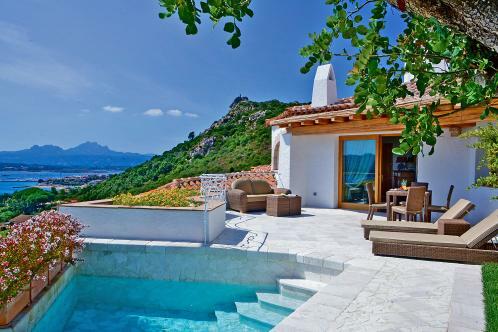 It’s ideally located for cycling or for hiking in the Pollensa hills. Something of a hidden gem, the historic town of Sibenik is handy for exploring the beautiful Krka National Park and the unspoilt Kornati archipelago, both more enjoyable in milder temperatures from the low to mid-twenties. The D-Resort has serious wow factor; the 72 rooms and suites are minimalist without being stark, the glass-fronted bar and restaurant have gorgeous views across to the old town, while the spa and pool look out towards the nearby islands. On the northern tip of Sardinia, the Relais Villa in Cannigione is an attractive cluster of terracotta-roofed houses stepping down the hillside above the Gulf of Arzachena. The 58 rooms have cream decor and antique-style furniture, while outside pretty gardens wrap around the seawater pool, leading down to a strip of beach.